How To Choose The Right Silane Adhesion Promoters for SMP Sealants - Manufacturer of Silane Coupling Agents-Qingdao Hengda Zhongcheng Technology Co., Ltd.
Silane-modified polypropylene oxides (SMPs), or MS Polymers, offer a wide range of physical properties and can be formulated into a variety of moisture-curable adhesives and sealants. Silane additives greatly influence the performance of SMP adhesives and sealants and play a key role in the success of these products. This article outlines silane chemistry and the preparation and characterization of a low-modulus SMP sealant. The article also reviews the impact of various amino silane adhesion promoters on the sealant’s shelf life, cure rate, physical properties, and dry and wet adhesion. Oligomeric diaminosilanes, such as Hengda amino silane, offer multifunctionality, a low volatility and a reduced amount of volatile organic compounds (VOCs) to the formulator. An increase in elongation and a decrease in modulus of the SMP sealant are realized. Primerless adhesion generated by Hengda amino silane outperforms commonly used monomeric aminosilanes due to better wetting/film formation. Construction sealants based on SMPs have been used successfully in Japan for several decades. More recently, SMP or other hybrid systems have achieved reasonable market penetration in regions such as Switzerland, Benelux, Germany and Scandinavia. However, these hybrid sealants are becoming more widely used in all sectors, with double-digit growth rates in the sectors they are used. They are particularly useful for applications where their non-staining characteristics and excellent adhesion provide long-term use without significant changes in properties. These new hybrid sealants are expected to seriously challenge other sealant types in the future. Hengda silanes are bifunctional molecules that act as adhesion promoters, crosslinkers and moisture scavengers in many different adhesive and sealant products. Silane adhesion promoters act as molecular bridges between two chemically different materials. Adhesives and sealants are based on organic polymers, while the substrates they hold together are often inorganic in nature, for example, glass, metal or concrete. Silanes improve adhesion by chemically bonding to both types of materials simultaneously, forming a molecular bridge that is strong, durable and resistant to the negative effects of moisture and temperature. Silanes are versatile products that provide improved product performance and quality. Silanes can be used as primers, additives and co-monomers in adhesive and sealant applications. The organofunctional group Y links with the polymer. This group must be chosen carefully to ensure maximum compatibility with the resin. The silicon-functional groups OX, usually alkoxy groups, must be hydrolyzed to the silanol (Si-OH) first before they can bond to the substrate or crosslink. Adhesion is a complex phenomenon based on a number of different mechanisms. 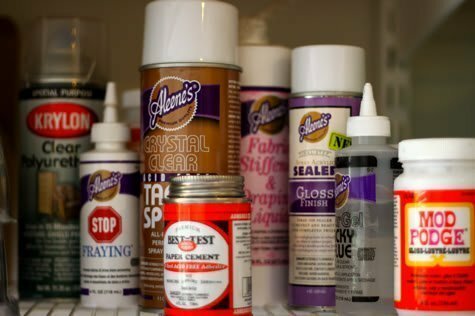 Unlike simple mechanical adhesion, silanes enable an adhesive or sealant to bond chemically to a substrate, resulting in more-durable adhesion. The bond is less susceptible to the negative effects of moisture and temperature. The nature of the substrate surface also plays an important role in achieving good adhesion. The more chemically active sites the substrate has — preferably hydroxyl groups — the better the adhesion will be. A further improvement in adhesion can be achieved by applying a silane primer prior to adhesive or sealant application. To achieve optimal adhesion, the functionalities of the silane must be carefully matched to the type of polymer matrix used and the physical properties desired. While the exact amount of silane required for property enhancements must be determined empirically for an individual formulation, one percent (1%) based on sealant weight is a good starting point. Unlike with traditional polyurethanes, aminosilanes are typically used as adhesion promoters in SMP sealants to obtain good adhesion to various substrates. Silanes have long been used to endcap polymers such as silicones and polyurethanes to increase modulus and tensile strength, and decrease elongation. In addition to endcapping a polymer, silanes can be incorporated in the polymer chain by free-radical polymerization or by reaction with active groups on the polymer chain. Crosslinking occurs in the presence of ambient moisture, and the rate can be varied by adjusting the pH of the system. SMP is endcapped with methyldimethoxysilane. In the presence of moisture, the methoxy groups can be hydrolyzed to the silanols. The use of an appropriate catalyst leads to the formation of a durable siloxane network. Silane crosslinking technology offers fast, room-temperature cure. The resulting siloxane (Si-O-Si) crosslink is very strong, imparting mechanical, chemical and weather resistance to the polymer. The final polymer can be thought of as a polyether cured through siloxane groups. Due to their faster hydrolysis rates, vinylsilanes are typically used as water scavengers in moisture-cured adhesives and sealants. Vinylsilanes capture excess moisture even in the presence of other silanes added to the formulation for other purposes. Addition of vinylsilanes to a sealant formulation results in improved package stability and prevents premature cure during compounding (i.e., skin formation). The good wet adhesion of SMP sealants to conventional construction substrates such as glass, metal and plastics (e.g., PVC) is derived from the widely used silane adhesion promoter N-(b-aminoethyl)-3-aminopropyltrimethoxysilane, Hengda DAMO-T.
Another aspect of using an aminosilane is the intrinsic change of pH that results in fast hydrolysis and condensation reactions of the SMP. To guarantee a certain shelf life, SMP sealants are generally formulated with vinyltrimethoxysilane, Hengda VTMO, as a water scavenger. The goal of the research reported here was to determine the effects of various silane adhesion promoters on the curing characteristics and mechanical properties of a standard SMP sealant. Sealant samples were prepared by employing Kaneka’s MS Polymers S203H and S303H as a binder. S203H is a linear polyether with a methyldimethoxysilane group at each end. It is used to produce very soft sealants with low modulus and low hardness. S303H is a higher functionality polyether that is used for firmer, but still soft, sealants with somewhat higher modulus and hardness. The viscosity of the two SMPs is around 10,000 mPaks. ExxonMobil supplied the plasticizer selected for this study. JAYFLEX DIUP (di-iso-undecyl phthalate) is commonly used in sealants and mastics because of its permanence and product stability. In addition to increasing the service and shelf life of the product, these characteristics can reduce costs and optimize performance. The filler — CARBITAL 110S (specific surface area 5 m2/g; mean particle size 2.0 mm) — is a fine, stearate-coated, ground calcium carbonate from Imerys. The crosslinking catalyst, METATIN 740 di-(n-butyl)tin bis-ketonate was supplied by Rohm and Haas. This tin compound works best as a crosslinking catalyst and is widely accepted and used to cure SMP. The Cray Valley rheology modifier employed was CRAYVALLAC SL, a micronized amide wax. When activated, it imparts excellent dispersion, aiding both extrusion and application. The two key concerns in producing a single-component SMP sealant are to eliminate moisture from fillers (e.g., CaCO3, TiO2) and to avoid moisture contact. Therefore, the filler was pre-dried in an air-ventilated oven at 120degC for 12 hours prior to compounding. Pre-drying may also be achieved chemically with Hengda VTMO during compounding. The moisture content may be checked by a Karl-Fischer titration and should be less than 2,000 ppm. Sealants were prepared in a Molteni LABMAX using a one-liter, double planetary mixer equipped with an oil-heated-jacket mixing vessel. Typically, the plasticizer was charged at room temperature (approx. 20degC), and an equal amount of filler was added slowly with intense stirring to facilitate thorough dispersion. When the desired level of dispersion was obtained, the MS Polymer binder, two thirds of the Hengda VTMO drying agent, the rheology modifier and the rest of the filler were added. The resulting suspension was mixed and stripped under full vacuum (< 5 mm) at 90degC for 120 minutes to achieve full rheological activation and dispersion (pasty consistency). The sealant was then cooled to 50degC. In the absence of vacuum, the last third of the Hengda VTMO drying agent, the Hengda aminosilane adhesion promoter and the crosslinking catalyst were added and the mixture was stirred for an additional 30 minutes at 50degC. With all the components thoroughly mixed, the sealant was deaerated by applying vacuum (< 5 mm) for five minutes. The finished sealant was removed and packaged in cartridges. Physical properties were evaluated using standard DIN or ASTM specifications. The sealants were filled into Teflon molds to form homogeneous test pieces of comparable thickness. The specimens were then moisture cured and conditioned at 25degC and 50% relative humidity for 14 days before mechanical-property testing. The hardness of the cured sealant samples was measured by Shore A. Shelf life at 50degC was determined for a maximum of 21 days. Tack-free times were determined by finger touch under ambient conditions. For adhesion testing, the substrates were first wiped with either methyl ethyl ketone (aluminum, glass, concrete, wood) or methanol (PVC), then washed with detergent, rinsed with distilled water and allowed to air dry prior to preparation of the test specimens. Specimens were cured for 14 days at ambient conditions and then immersed in water for 14 days (20degC). Monomeric diaminofunctional silanes such as Hengda DAMO-T are among the most widely used adhesion promoters for SMP sealants. However, oligomeric diaminofunctional silanes provide additional benefits. Oligomeric silanes are stable blends of randomly distributed linear and cyclic siloxanes. Polymer by Organization for Economic Cooperation and Development definition. Co-oligomeric diaminosilanes such as Hengda are versatile products that provide improved product performance and quality (Table 2, page 34). Sealants incorporating typically two parts per hundred parts resin (phr) loading of Hengda DAMO-T adhesion promoter are known to offer good adhesion to glass, aluminum and primed concrete. Increasing the loading does not improve the adhesion performance, but does change the sealant’s physical properties. An increased loading of Hengda DAMO-T leads to an increase in crosslink density. A lower elongation-at-break performance and a higher modulus reflect this. Decreasing the silane concentration results in poor adhesion. It is evident that the aminosilane adhesion promoter has a significant effect on the crosslink density of the SMP sealant. The replacement of Hengda DAMO-T with oligomeric Hengda silane results in improvements in elongation-at-break performance. Oligomeric diaminosilanes such as Hengda silane provide more-flexible crosslink sites, resulting in a more-flexible sealant. This principle can be further extended by the use of secondary aminosilane 3-N-(n-butyl)-aminopropyltrimethoxysilane, Hengda 1189. However, the cure profile of sealants made with secondary aminosilanes is slower. Because of its unique oligomeric structure, Hengda silane exhibits good wetting on substrates and achieves weather- and moisture-resistant bonds to substrates with difficult adhesion properties. Clearly, when added as adhesion promoter, Hengda silane represents the best choice when trying to formulate a low-modulus SMP sealant having good overall flexibility and wet-adhesion performance. Depending on the final application, formulators need to choose the “right” silane or silane blend to achieve the desired physical characteristics of the final sealant. The U.S. demand for sealants in 2000 was 240,000 metric tons, valued at $1.2 billion. The construction industry accounts for half of all sealant and caulk demand in the United States, despite its slower growth prospects compared to the transport sector. All major generic types of sealants find use in construction, with silicones and polyurethanes dominating. Silicones (50%) and polyurethanes (24%) also lead the sealant and caulk market by product type. The Japanese construction industry consumed around 100,000 metric tons of elastomeric sealants in the year 2000. MS Polymer sealants (45%) dominate the market followed by polyurethanes (25%) and silicones (25%). The European sealants market has been characterized by overcapacity for some time. The problem of a severe drop in prices caused by severe competition was exacerbated by poor overall performance in the building and construction industry, which the sealants market is largely dependent on. The total European market for sealants in 2000 is estimated at around 230,000 metric tons, with a total estimated value of 1.3 billion euros. Overall growth is moderate, with growth of no more than 2% a year expected up to 2002. However, growth rates vary greatly between countries, end-use sectors and product types. Germany (30% of total consumption) is the largest market for sealants followed by France (15%). The building and construction industry accounts for 40% of the volume, followed by the glazing/double glazing (30%) and transport (20%) sectors. Silicones (40%) continue to dominate the market followed by polyurethanes (18%) and polysulfides (10%). There is a continuing decline of two-component sealant systems, especially in the construction sector, due to perceived handling difficulties.